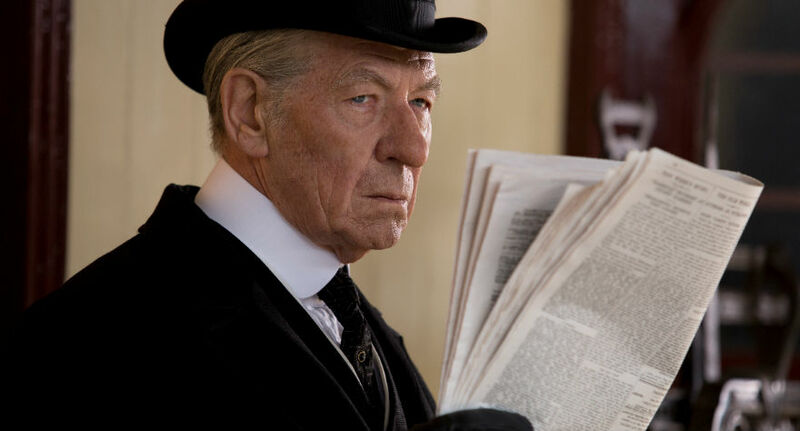 It was announced today that the 58th annual San Francisco International Film Festival will play host to the US premiere of Bill Condon‘s Mr. Holmes, a fresh take on Sherlock Holmes that sees Sir Ian McKellen playing the famous detective. The film marks Condon (Kinsey, The Fifth Estate) and McKellen’s first collaboration since 1998’s Gods and Monsters and also stars Laura Linney and newcomer Milo Parker. SFIFF takes place from April 23rd to May 7th, with Mr. Holmes screening as a Marquee Presentation on Saturday, April 25th, 12:30 pm at Sundance Kabuki Cinemas. McKellen reunites with Gods and Monsters (1998) director Bill Condon for Mr. Holmes, a new twist on the world’s most famous detective. 1947, an aging Sherlock Holmes returns from a journey to Japan, where, in search of a rare plant with powerful restorative qualities, he has witnessed the devastation of nuclear warfare. Now, in his remote seaside farmhouse, Holmes faces the end of his days tending to his bees, with only the company of his housekeeper and her young son, Roger. Grappling with the diminishing powers of his mind, Holmes comes to rely upon the boy as he revisits the circumstances of the unsolved case that forced him into retirement, and searches for answers to the mysteries of life and love – before it’s too late. Loosely adapted from Mitch Cullin’s novel A Slight Trick of the Mind and featuring precise attention to period detail and the visual splendor of the English countryside, Mr. Holmes stands proudly along the other indelible portraits of the unforgettable man who lived at 221B Baker Street. A bi-lingual and well-made neo-noir makes for an engaging watch.